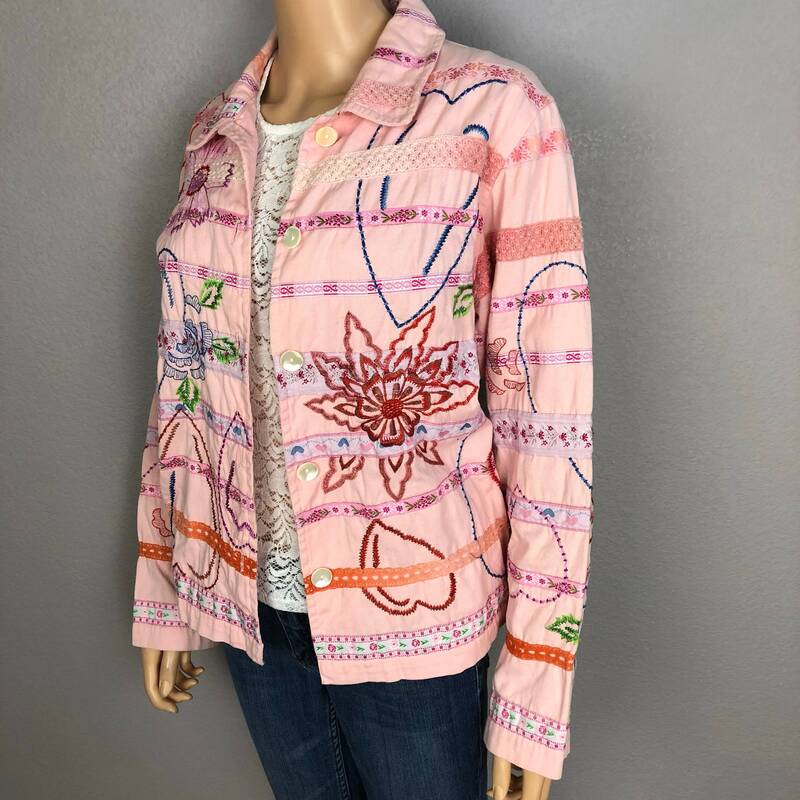 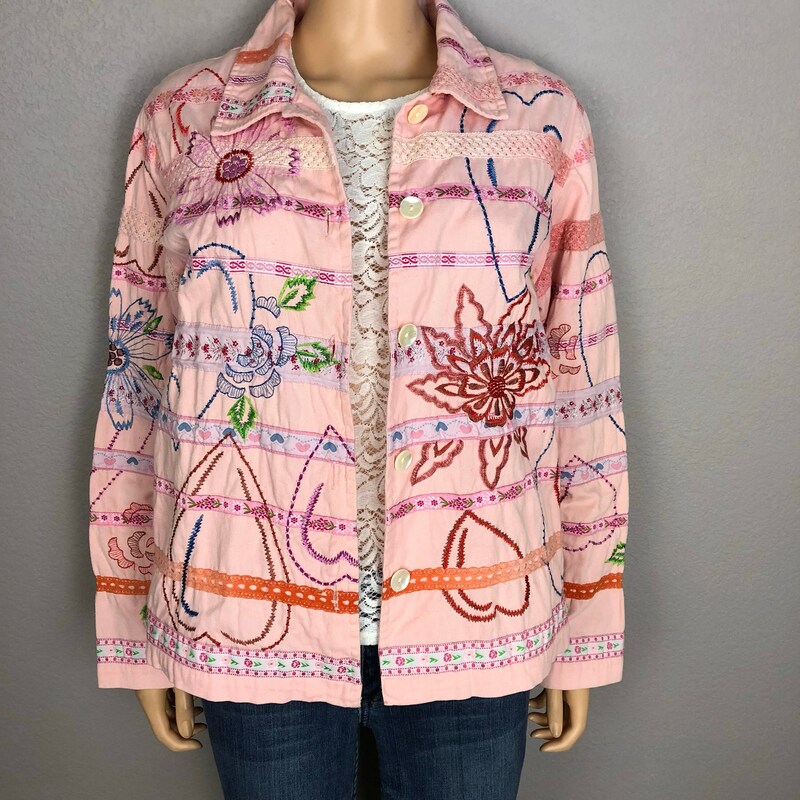 Absolutely adorable and quirky oversized floral embroidered jacket for sale from the 90’s. 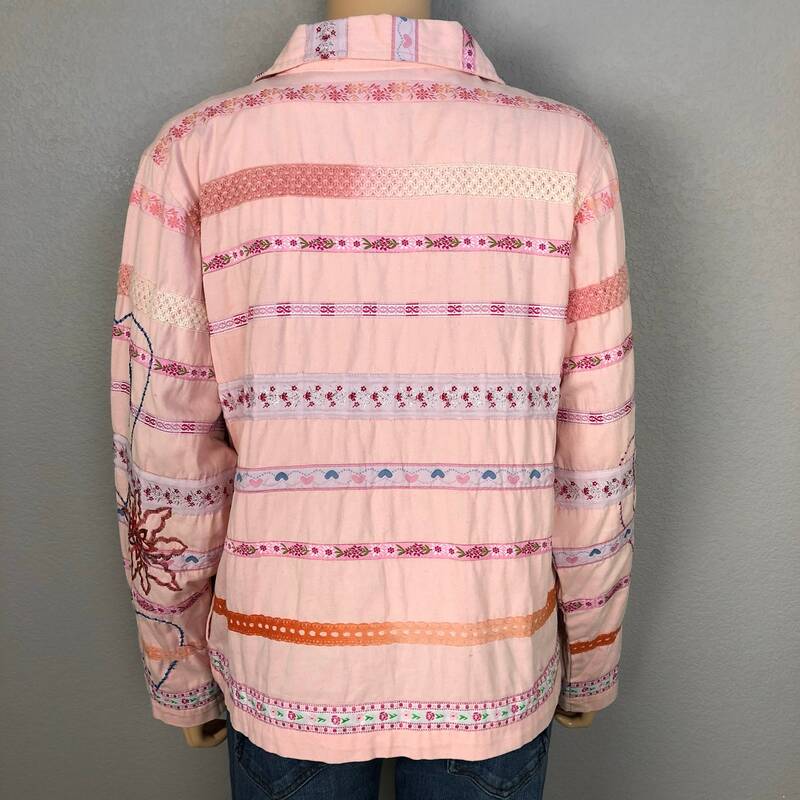 This has ribbons running across it in a striped pattern as well as floral embroidery throughout. 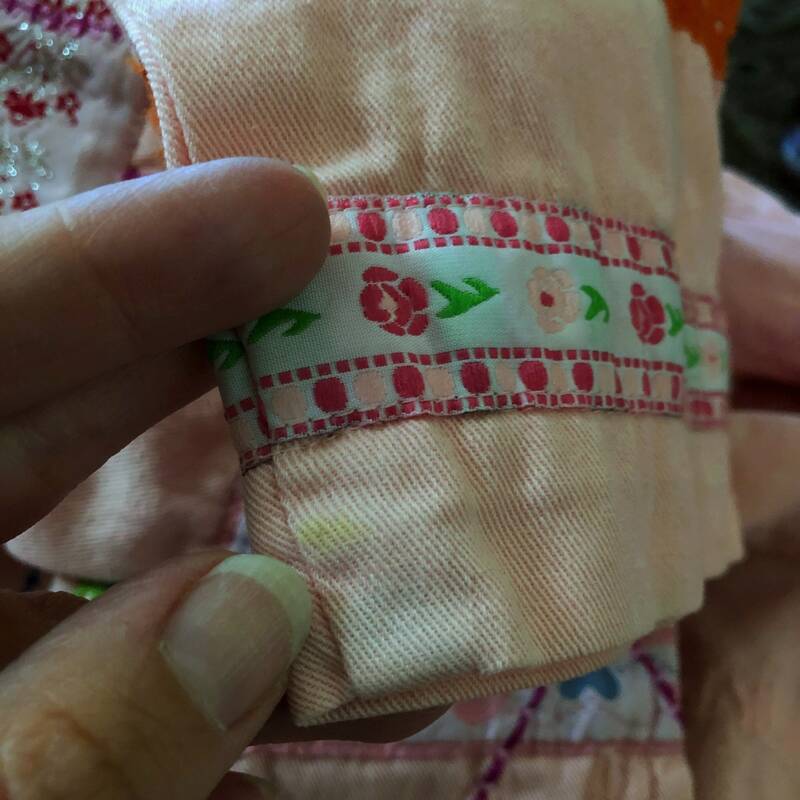 It is lightweight and unlined. 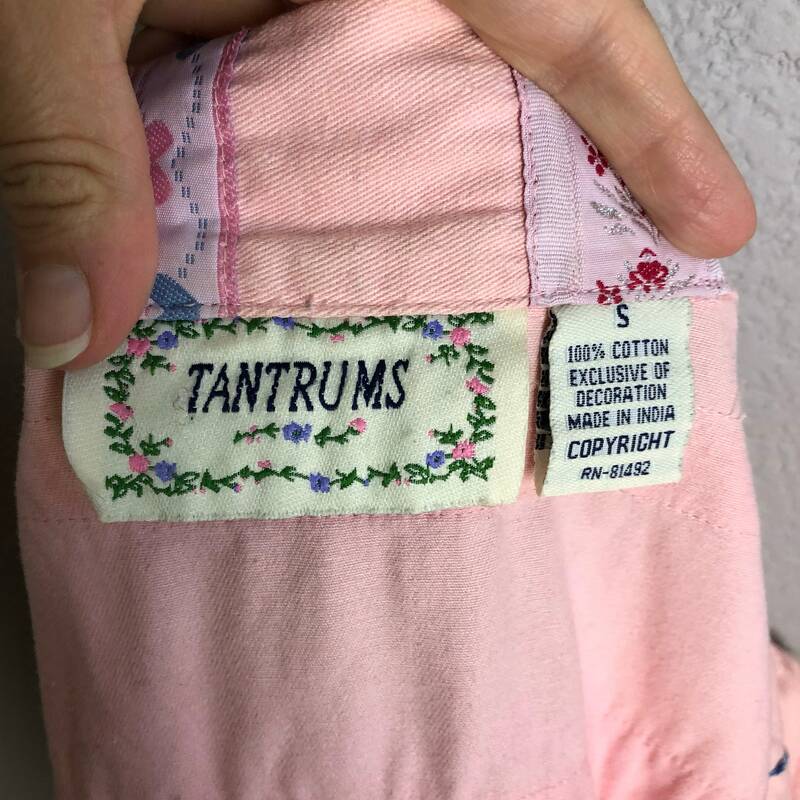 It is pale pink and made from 100% cotton. 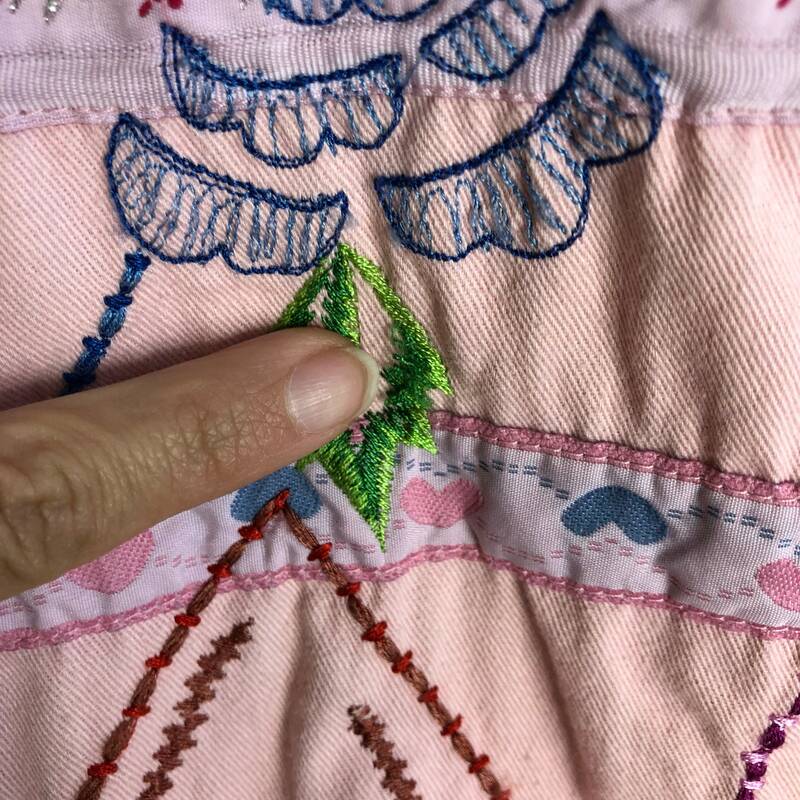 It is in very good condition, but it does have a very small and faint green mark on the cuff of the sleeve and a few loose threads in the embroidery. 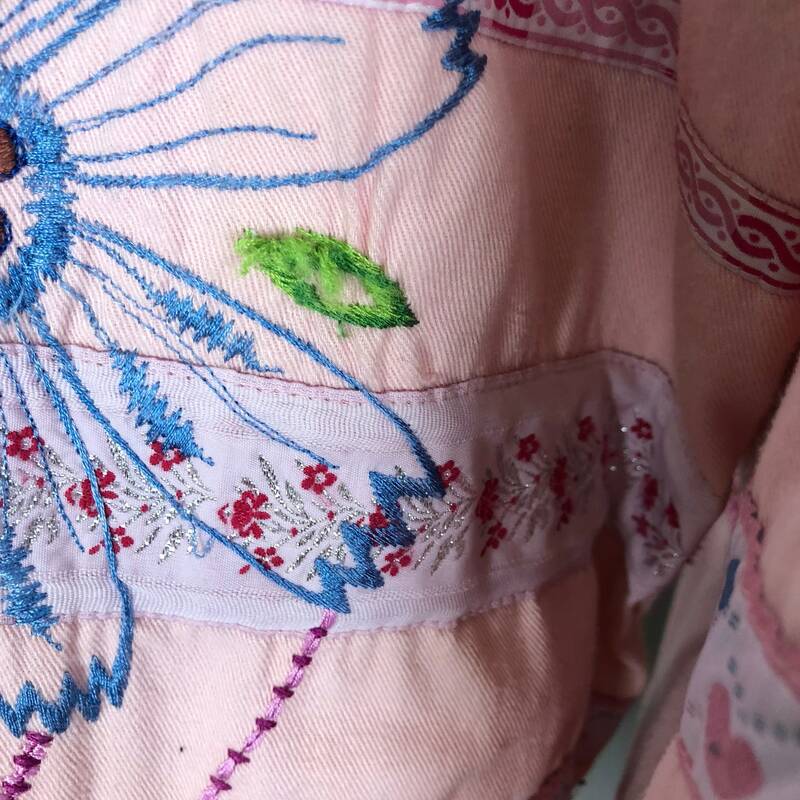 I’ve shown these in the close up photos.